MOSCOW. Oct 11 (Interfax) - The Investigative Committee has launched a criminal inquiry into the Soyuz MS-10 accident, a spokesperson for the agency told Interfax on Thursday. "The Committee's Baikonur division has launched a criminal inquiry into the Soyuz MS-10 manned spacecraft accident under Article 216 of the Russian Criminal Code (violation of construction safety rules resulting in significant damage)," the spokesperson said. "An investigative team has been set up and is now inspecting the launch pad and seizing documentation. Inquiries are underway to identify the causes of and people responsible for the accident," the agency said. The Soyuz MS-10, which was launched from Baikonur at 2:40 p.m. on October 11, experienced a malfunction "for a yet unidentified reason at the initial stage, 122 seconds into the flight, when its second-stage engines were running, causing the manned spacecraft to lose control," the committee said. "After the emergency system began working, a special rescue capsule containing the crew broke off the rocket, after which the flight was interrupted and the spacecraft fell," the committee said. The collision of elements during the separation of the carrier rocket’s first and second stages is the primary cause of the Soyuz-FG booster’s abortive launch, Roscosmos Executive Director for Manned Flights Sergei Krikalyov said on Friday. "There are no final versions but the primary cause is understandable and is related to the collision of a side element making part of the first stage. A collision occurred during the separation of the first and second stages," the Roscosmos official said. "A deviation from the standard trajectory occurred and apparently the lower part of the second stage disintegrated. The rocket stopped its normal flight and after that the automatic system did its work," Krikalyov said. An element of the booster’s first stage collided with the second stage, Krikalyov said. "This could have been caused by the failure of the system of the normal separation, which should have been activated. We will analyze the causes in detail," the Roscosmos official said. The dates of launches of a cargo spacecraft Progress MS to the International Space Station may be revised following the failure of the Soyuz-FG rocket. "Possibly, we may revise the date of launching the next cargo spacecraft. Possibly, we will speed up the launch of the next Soyuz. Different versions of the program are being considered," Krikalyov said. The results of the government probe into the causes of the Soyuz-FG rocket’s failure will be available later this month, after October 20. "The panel of inquiry got down to work yesterday. The results are expected after October 20. The first components found in Kazakhstan’s steppe will help find out what happened. The necessary measures will be taken afterwards and flights will be continued," Krikalyov said. He added that all rockets of this class will be authorized for use again only when the causes of the failure were clear. A Soyuz-FG carrier rocket with a manned Soyuz MS-10 spacecraft blasted off from Kazakhstan’s Baikonur Cosmodrome to the International Space Station (ISS) on Thursday, at 11:40 a.m. Moscow time. On board the spacecraft were Russian cosmonaut Alexei Ovchinin (the commander of the Soyuz MS-10) and NASA astronaut Nick Hague. The press office of Russia’s Central Military District reported that rescuers recovered the crew from the descent capsule. Later, the crewmembers were examined and found to be in good condition. After their medical check-up in the town of Baikonur, the astronauts were transported to Moscow. This is the first emergency landing with this type of carrier rocket over the past 35 years. Kazakh specialists have found a fragment of the faulty Soyuz-FG carrier rocket 40 km from the city of Zhezkazgan in the Karaganda Region, spokesman for the Emergencies Committee of Kazakhstan’s Interior Ministry Nursultan Nurakhmetov told TASS on Friday. "Following the results of the search measures, the Emergencies Committee personnel have found a fragment of the nose fairing’s flap 40 km from the city of Zhezkazgan. The fragment has been handed over to Roscosmos [Russian space agency] specialists. The radioactive and chemical situation at the fall site is normal and there are no victims or persons hurt by the accident. The fragment was discovered yesterday evening," Nurakhmetov said. A Soyuz-FG carrier rocket with a manned Soyuz MS-10 spacecraft blasted off from the Baikonur spaceport in Kazakhstan to the International Space Station (ISS) on Thursday. The carrier rocket with the manned spacecraft lifted off from the Baikonur Cosmodrome at 11:40 a.m. Moscow time. 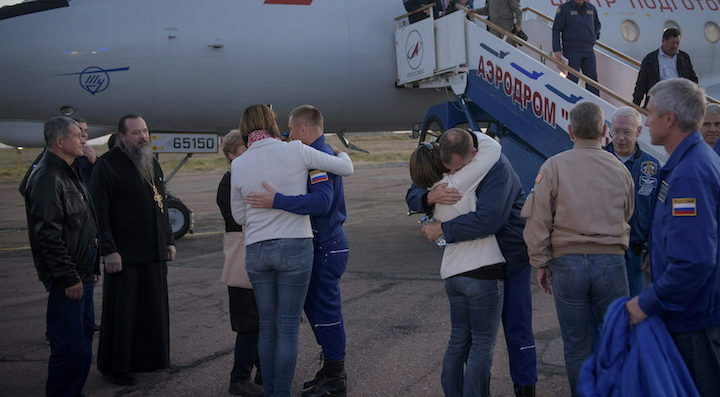 The manned spacecraft carried Russian cosmonaut Alexei Ovchinin (the commander of the Soyuz MS-10) and NASA astronaut Nick Hague. The Soyuz booster aborted after its launch, after which the crew switched to the mode of a ballistic descent. The manned Soyuz MS-10 spacecraft landed in the Kazakh steppe. As the press office of Russia’s Central Military District reported, rescuers recovered the crew from the descent capsule and the crew members are in good condition. This is the first emergency with this type of carrier rockets over the past 35 years. The state commission investigating Thursday’s failed launch of a Soyuz-FG carrier rocket sees a strap-on booster separation error as the most likely cause of the accident, a rocket and space industry source told TASS on Thursday. A Soyuz-FG carrier rocket with the manned Soyuz MS-10 spacecraft blasted off from the Baikonur Cosmodrome in Kazakhstan to the International Space Station (ISS) on Thursday at 11:40 am (Moscow time). On board the spacecraft were Russian cosmonaut Alexei Ovchinin (the commander of the Soyuz MS-10) and NASA astronaut Nick Hague. Shortly after liftoff, the Soyuz’s booster malfunctioned, forcing the crew to abort the mission and make a ballistic descent, ultimately landing in the Kazakh steppe. Rescuers evacuated the cosmonauts from the descent capsule. This is the first such incident in the past 35 years. A ballistic re-entry is "basically an unguided, uncontrolled free fall." A Russian Soyuz rocket carrying two crew members to the International Space Station malfunctioned shortly after launch early Thursday morning, forcing the space flyers to make an emergency return to Earth — what’s known in aerospace circles as a ballistic re-entry. NASA astronaut Nick Hague and Russian cosmonaut Alexey Ovchinin are said to be in good condition after their capsule landed safely near the city of Dzhezkazgan in Kazakhstan. But their unexpected trip home was a tumultuous one marked by periods of intense G-forces. “What ‘ballistic’ means is basically an unguided, uncontrolled free fall,” said Scott Kelly, a former NASA astronaut who made four trips to space, including two aboard the Soyuz. In a ballistic re-entry, the capsule falls at a steeper angle than a spacecraft normally takes when returning to Earth. That unusual trajectory causes the capsule to decelerate rapidly as a result of increased friction with the atmosphere — but rapid deceleration means the crew is subjected to unusually strong G-forces. In today’s emergency, Hague and Ovchinin experienced G-forces six to seven times Earth’s gravity, Reid Wiseman, NASA’s deputy chief astronaut, told reporters Thursday at a press briefing. In addition to decelerating rapidly, the space flyers’ capsule spun slowly as it fell, Wiseman said, giving it a measure of aerodynamic stability as it plunged through the atmosphere. “It’s like shooting a bullet out of a rifle barrel,” he said, before deadpanning that the forces the astronauts experienced were “not insignificant.” At seven Gs, a 180-pound astronaut weighs 1,260 pounds. There has been no word yet from Hague or Ovchinin about what the experience was like. But Peggy Whitson, a retired NASA astronaut who survived a ballistic re-entry in a Soyuz capsule in 2008, described the experience as a harrowing one in an interview with The Houston Chronicle later that year. The emergency Thursday began about two minutes into the flight, when computers onboard the Soyuz capsule detected a problem with the rocket’s second stage. That automatically triggered the launch abort, beginning with the separation of the capsule from the rocket to get the crew away from the booster, which, of course, is laden with explosive rocket fuel. Wiseman said 34 minutes passed from that point to the moment the capsule landed under its enormous parachute. The incident was the fourth time a Soyuz crew has been forced to make a ballistic re-entry. It’s not yet known what caused the malfunction, but the Russian space agency Roscosmos said it has launched an investigation into the incident. “The Soyuz MS-10 spacecraft launched from the Baikonur Cosmodrome in Kazakhstan to the International Space Station at 4:40 a.m. EDT Thursday, Oct. 11 (2:40 p.m. in Baikonur) carrying American astronaut Nick Hague and Russian cosmonaut Alexey Ovchinin. Shortly after launch, there was an anomaly with the booster and the launch ascent was aborted, resulting in a ballistic landing of the spacecraft. “Search and rescue teams were deployed to the landing site. Hague and Ovchinin are out of the capsule and are reported to be in good condition. They will be transported to the Gagarin Cosmonaut Training Center in Star City, Russia outside of Moscow. A few months from now, the International Space Station (ISS) could be unoccupied for the first time in nearly two decades. Russia's workhorse Soyuz rocket suffered a serious anomaly just minutes after launching two astronauts toward the ISS today (Oct. 11), forcing the spaceflyers' crew craft to make an emergency landing in Kazakhstan. Those two explorers — NASA's Nick Hague and cosmonaut Alexey Ovchinin — made it through the bumpy touchdown just fine and are in good condition, NASA officials said. But the Soyuz will be grounded while Russian investigators try to figure out exactly what happened today, and how to prevent it from occurring again. While Russia will doubtless make the investigation a high priority, it's unclear how long this work will take, Kenny Todd, NASA's ISS operations integration manager, stressed during a postlaunch news conference today. "We'll have to see where the data leads them," Todd said. "And if that's a month, or if it's two months, or six — I really can't speculate on the length of it." Hague and Ovchinin were supposed to join three crewmembers already aboard the ISS — NASA astronaut Serena M. Auñón-Chancellor, the European Space Agency's Alexander Gerst and cosmonaut Sergey Prokopyev. Auñón-Chancellor, Gerst and Prokopyev are scheduled to return to Earth in December (and have more than enough food, water and other supplies to last until then, despite today's launch failure, Todd said). The Soyuz and its accompanying crew craft — somewhat confusing, also called Soyuz — have been astronauts' only ride to the ISS since NASA grounded its space shuttle fleet in 2011. So, if the rocket isn't ready to fly in a couple of months, the orbiting lab could soon be vacant. That would be a very odd development indeed. The ISS has been continuously occupied by rotating astronaut crews, usually on five- to six-month stints, since November 2000. It's possible that NASA, Russia and the other ISS partners could extend the mission of Auñón-Chancellor, Gerst and Prokopyev, but only by a few weeks. That's because Soyuz spacecraft have design lifetimes of about 200 days on orbit. There's a bit of wiggle room in there, but not much; the vehicle that will take the current ISS crew home will "expire" in early January, Todd said. Astronauts conduct large numbers of experiments aboard the ISS, so leaving the orbiting lab unoccupied would be a scientific shame. But the $100 billion outpost wouldn't be imperiled; ground controllers could keep it up and running for a while, Todd said. Critical ISS systems have good redundancy, Todd added. So, "we can tolerate some failures, some significant failures, and continue to operate the station in a de-crewed manner," he said. NASA's Commercial Crew Program has been encouraging the development of private American astronaut taxis, awarding multibillion-dollar contracts to SpaceX and Boeing to develop vehicles called Crew Dragon and the CST-100 Starliner, respectively. But these private spaceships won't be ready to fly astronauts for a while yet; SpaceX's first crewed test flight is currently scheduled for June 2019 and Boeing's for August of that year. MOSCOW — Thursday’s dramatic launch abort that returned the crew of Soyuz MS-10 safely to Earth after a still-unidentified booster anomaly was the first time a crewed spacecraft bound for the International Space Station has suffered a mission critical failure. But it was not the first time that a manned Soyuz rocket has been forced to activate its launch abort system. The current iteration of the manned Soyuz booster, the Soyuz-FG, had until today boasted a 100 percent success rate. The derivative has been transporting crews to the space station since coming into service in 2001, conducting 55 successful flights in 17 years. But previous versions of the manned Soyuz launch vehicle have twice seen their launch abort systems activated. The first recorded instance of a launch escape maneuver came in 1975, when Soyuz 18-1 took off for the Salyut 4 space station. The situation looked quite similar to what Russian cosmonaut Alexey Ovchinin and American astronaut Nick Hague experienced Thursday. Both flights experienced an abort midflight, forcing the capsule to separate from the rocket. Details of Thursday’s launch abort were not immediately clear. According to NASA TV footage of the launch, Russian flight controllers first announced a booster failure about 165 seconds into flight. However, other reports in the Russian press have placed the abort time as early as 119 seconds. The 1975 Soyuz-18-1 mission was much further along in its flight when the abort occurred: just under five minutes, amid the rocket’s second and third stage separation. The capsule had jettisoned its launch escape tower earlier in the launch, and had to ignite its engines to pull away. The crew experienced an intense re-entry, and landed in the wilderness close to the Chinese border. According to the TASS news agency, the crew of Soyuz 18-1 experienced anywhere from 20 to 26 Gs on their descent. 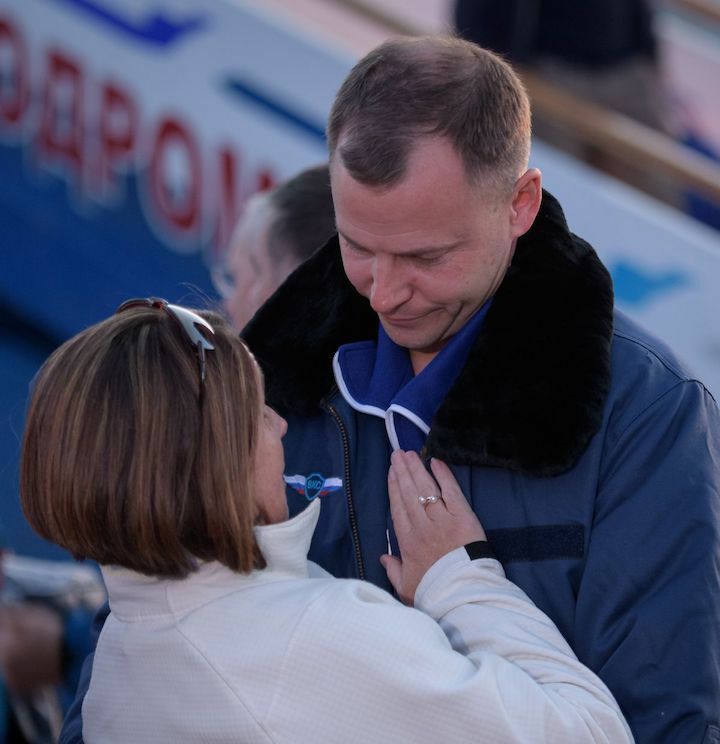 This is far in excess of what some sources in the Russian press have estimated the crew of Soyuz MS-10 experienced Thursday: anywhere from 5 to 7 Gs. This leaves Soyuz 10-1, a 1983 mission to the Salyut 7 space station, able to retain its title as the only manned mission to use the launch escape tower — a funnel-like cap or tower that sits atop the stack ready to whisk the crew capsule away from an exploding rocket on the launch pad or during early phases of flight. NASA is using a similar design for Orion. Forty-eight seconds before Soyuz 10-1 launched, a fire broke out on the launch pad. The launch escape tower activated two seconds before the rocket below the crew exploded, ripping the Soyuz spacecraft away from the inferno as it engulfed the launch pad. The escape tower then angled the capsule off to the side, ejected, and the capsule opened parachutes for landing. All things considered, the Soyuz has proven itself reliable historically and its launch escape system — at various stages of flight — has proven effective three times now. Which is good news for NASA and companies like SpaceX and Boeing that are developing similar systems for their manned spacecraft — but have never had to test them under live conditions. 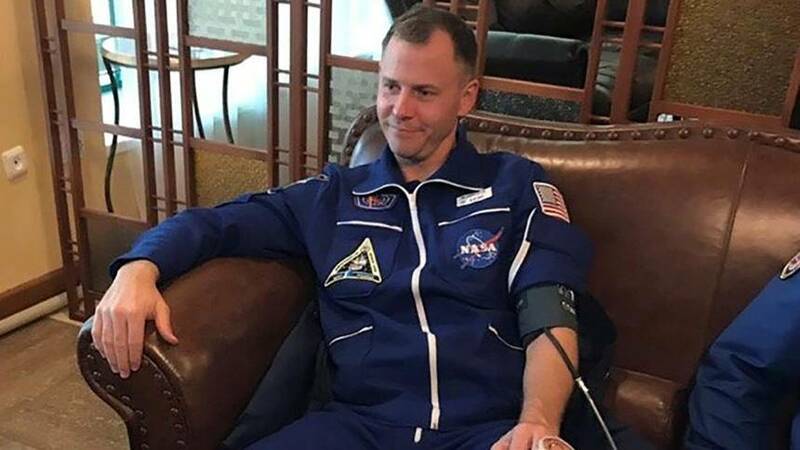 I never want to understand the kind of fear that the families of NASA astronaut Nick Hague and Russian cosmonaut Alexey Ovchinin experienced in the wee hours of Thursday morning. Both crewmembers were aboard a Russian-made Soyuz rocket bound for a six-month stay on the International Space Station when their rocket malfunctioned, forcing an abort of the mission and sending Hague and Ovchinin on an extreme ride back to Earth within the crew capsule. Hague and Ovchinin are safely back on Earth after the abort, during which they likely experienced the force of seven times Earth's gravity. The failure undoubtedly has major implications for the far future of the space station program, and even in more immediate terms, this will likely change how the station runs for the time being, with two fewer crewmembers than expected. This mishap could also have major implications for NASA's plans to get astronaut's launching from the U.S. again in the next few years. We can talk all we want about the future of space travel in light of the failure, but at the end of the day, this is a human story about two people who came way too close to dying in space Thursday. And it just goes to show that even the most seemingly routine rocket launch is never all that routine. NASA's chief heard one reassuring sound over the radio link after the aborted launch of a Soyuz capsule with an American and a Russian aboard.